Trivia time! 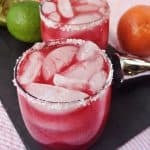 What’s the most popular cocktail in Mexico? Nope. Wrong. Sorry. It’s definitely not the margarita. Not what you were expecting me to say, was it? 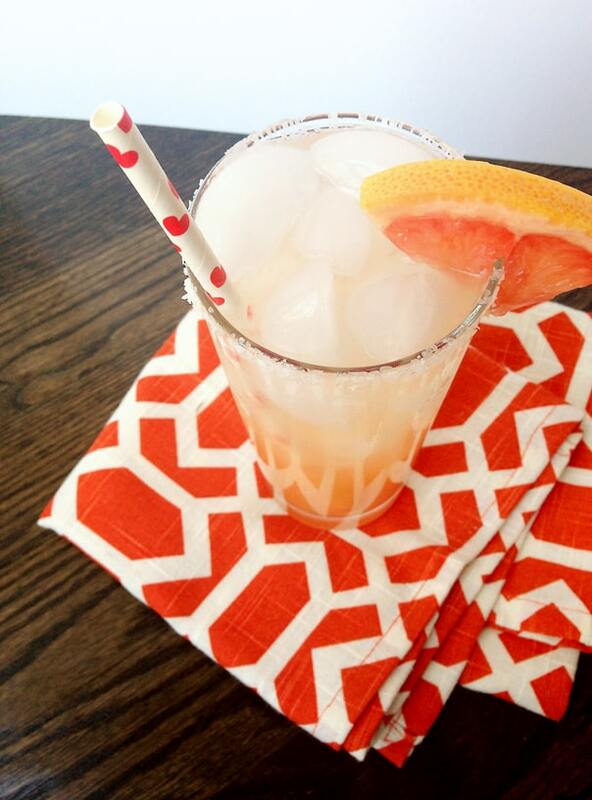 The most popular cocktail in Mexico is the Paloma cocktail, a refreshing drink made with tequila and tart grapefruit. There’s also a salted rim and a splash of soda that provides a little fizz. 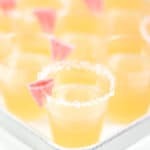 The pinkish orange color may look frilly, but this is a sweet and sour cocktail that will have you asking for seconds. 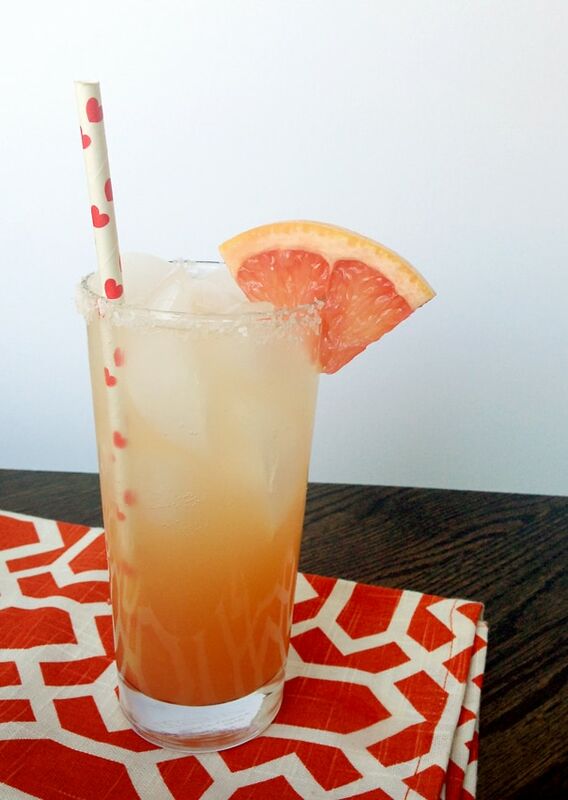 The Paloma cocktail is first cousin to the American Salty Dog, which is grapefruit juice and gin or vodka. If you skip the salted rim, that version is known simply as simply a Greyhound. 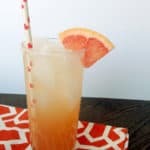 Some recipes for the Paloma call for grapefruit soda, which can be hard to find in the States. I like it best with the grapefruit juice, though. It’s fresh-tasting and therefore refreshing. 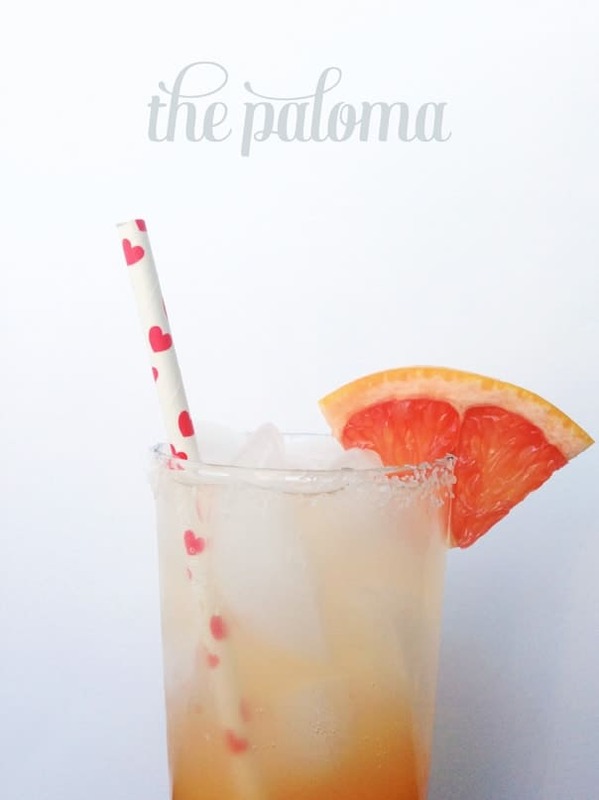 Click below for the Paloma cocktail recipe! Rim the glass. Pour kosher salt onto a plate. Use a grapefruit wedge to rub the outer rim of a highball glass and dip the rim in the salt, careful not to get any on the inside of the glass. Make the cocktail. Pour in tequila, lime juice, juice and the sugar (if desired) and stir until the sugar has dissolved. Fill glass with ice, then top with tequila and a splash of club soda. Stir gently. Serve with a grapefruit wedge, if desired. I love a good Paloma cocktail! I might need to whip one up this weekend! Ahh! That sounds like an awesome trip. I’m so jealous. 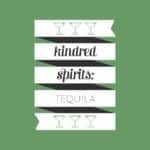 You will definitely need to make some Palomas in celebration! They are seriously so good. Adding this to my drink queue this weekend! Love me some grapefruit! I might try it with San Pelligrino’s grapefruit soda! I use the lemon and orange ones all the time with my cocktails! Thanks for the recipe! Oh, I bet that would be awesome! I haven’t been able to find grapefruit soda, but it helps to know that San Pelligrino’s makes it. I’ll look in that section next time. Thanks for the tip, Jennifer! I appreciate you stopping by the blog to read + comment. Fantastic! Good to know about paloma cocktail. And that sounds way better than regular tequila. Yeah! It’s fun. You can always have less tequila, or you could make the cocktail into a Greyhound or Salty Dog with vodka or gin. Thanks so much for your comment, Linda! Um. HELLO. This looks amazing! I’ll be trying this ASAP. Thanks! 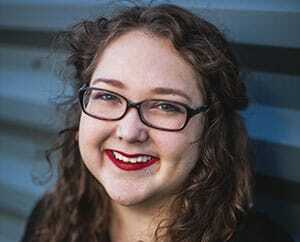 Yay, Madison! I think you will love it. 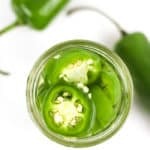 It would go perfectly with that Mexican meal you made for your blog recently! Hahaha! Anne, that made me laugh. I hope you get to try some of those grapefruit cocktails! They are each classics and so much fun. You will love them. Thanks for stopping by!